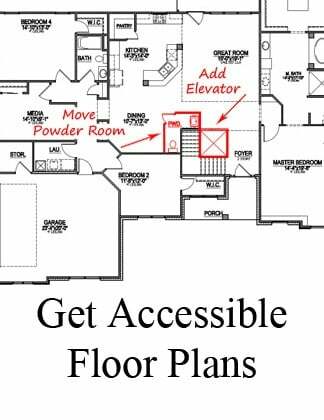 11 floor plans that say "Let's Watch the Game at Our Place"
Want everybody to gather at your place for the big game? 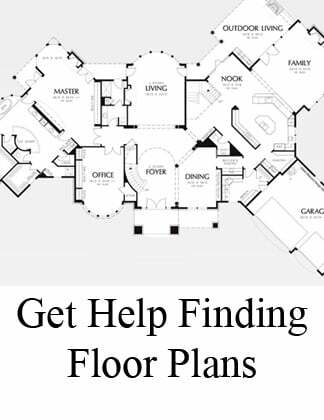 Design your floor plan to fit your fantasy football crowd. Here are 11 designs with wide open floor plans, leveraged for entertainment. Give your guests more options, with a Game Room that’s got Big Screen space – as well as a Great Room designed for lots of interaction. 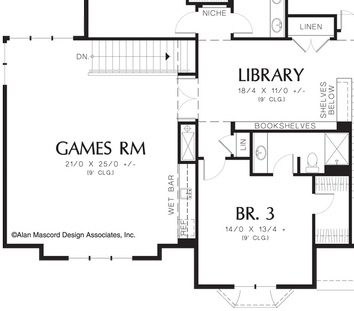 The Harwood floor plan, a 5200 sq ft design by Alan Mascord, features a second floor game room with private staricase. 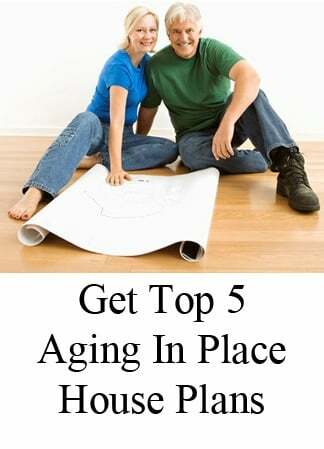 Click here to see full floor plans for this home. Request a price for this new home in the Raleigh, NC area. 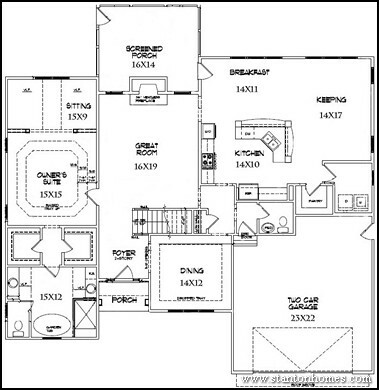 Do it big, in this 4700 sq ft plan with an open layout with no interference to everything you want to do. 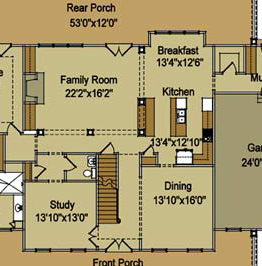 This floor plan idea features a family room in reach of the curved kitchen island with serving bar. Request a price for this custom home in the Raleigh, NC area. 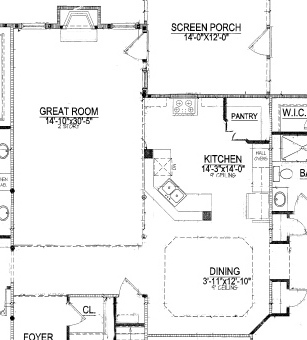 This 4500 sq ft plan is designed for outside stretches – with front and rear porches that accommodate wide receivers. This 4200 sq ft home spotlights the game in a Great Room that takes center stage – and grabs attention. Spread out in the Marlow, an Alan Mascord design. 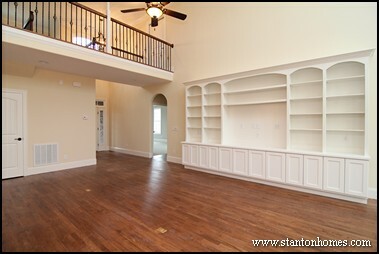 The Peay, a Stanton Homes design, features an oversized 14x30 great room. This 3500 sq ft home also has a two story foyer overlook to the great room and an open island kitchen. This custom designed home features a full wall of storage with a built-in wide screen TV center. 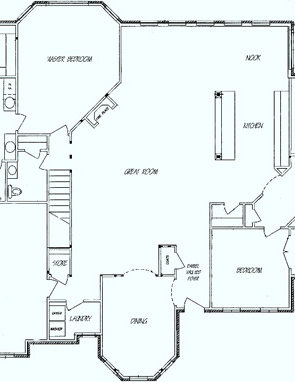 The TV location was designed for universal visibility - from the kitchen, dining, and great room. Enjoy a game day with tons of good food set out on the wrap-around serving bar. The Treehouse, a Stanton Homes custom design, is a mountain house plan designed to fit a wooded hillside lot. First, The kitchen island was rotated to face the two story great room - so the sous chefs will never miss out on the action. 2. The great room entertainment center was custom designed and hand-built to incorporate a wide screen TV center with storage shelving below. See more unique entertainment centers we've included in custom homes in Raleigh NC. 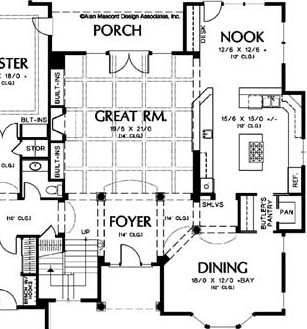 Click here to request a floor plan and price for this popular option among custom homes in Raleigh NC. 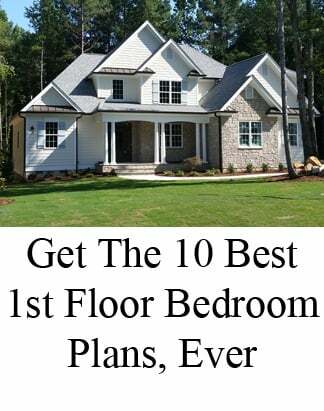 Custom homes in Raleigh NC with a basement floor plan are highly requested, but difficult to find unless you build a custom home especially designed to fit your lifestyle and your lot. 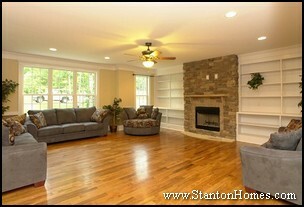 The Penelope, a Stanton Homes custom design, includes a walk-out basement with "man cave" game room. 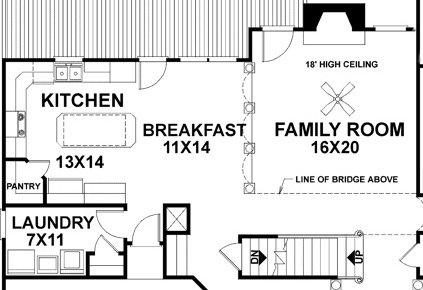 The Maple Lane leverages a classic floor plan layout, with the kitchen, breakfast, and family room all close at hand. 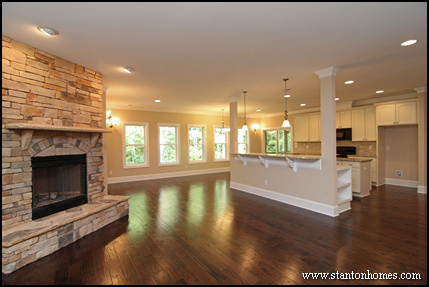 This version of the Maple Lane leaves a large wall open for an entertainment center separate from the fireplace wall. See a photo gallery of a version of the Maple Lane - click here. In this version of the Remington, a design by Living Concepts by Frank Snodgrass, the homeowners added a few custom modifications. The keeping room fireplace was moved into the breakfast room - opening up space for a wide screen TV wall instead. 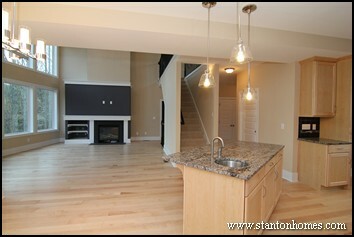 And the island was converted and rotated, to allow bar seating in view of the TV wall. The design team at Stanton Homes works closely with you to create an extraordinary custom home, with everything just the way you want it - read more about our custom home design team here and more about your personal consultant here. 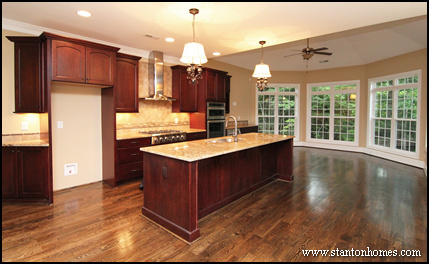 See a full photo gallery of this custom home in Raleigh NC. The Cannon, one of Stanton Homes' newest and most requested custom home plans in Raleigh NC, is a wide open floor plan designed for friends and family to interact, especially on game days. 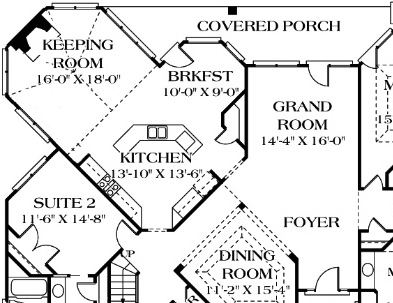 The Cannon is 2,971 sq ft with four bedrooms and three and a half baths. 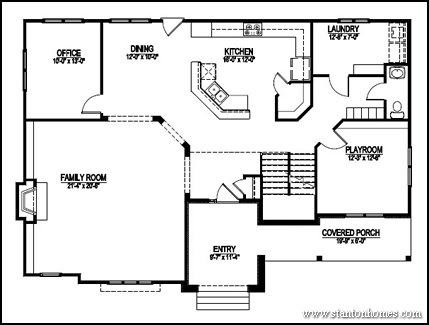 There are two great locations for a TV entertainment center in this floor plan: the nook wall and the great room wall. Each location is large and open. 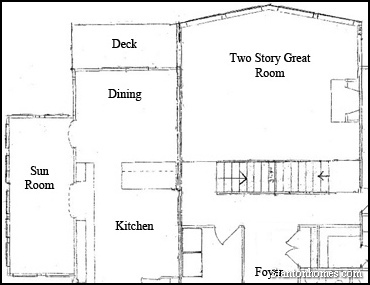 The second story "play room" could also act as a more private bonus or game room. In this version of the Cannon, the homeowners chose to include a second island in the kitchen.